Deck plate and inspection port. Easy open. Screw-out design, no tools needed. High impact ABS plasti..
Standard trim ring. Hole: 4-1/2"Color: BlackID: 4"Center: SmoothOD: 6-1/8"..
Standard trim ring. 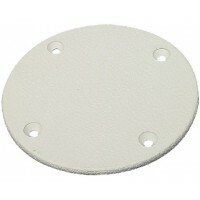 Hole: Gasket 6"Color: O-Ring for 4" screw-out deck platesID: 2.25Center: OD: ..
Standard trim ring. Hole: 4-1/2"Color: WhiteID: 4"Center: SmoothOD: 6-1/8"..
Standard trim ring. Hole: 4-1/2"Color: WhiteID: 4"Center: ClearOD: 6-1/8"..
Watertight, overlapping cover conceals fasteners for a clean, modern look. Three separate sealing ri..
Standard trim ring. Hole: 6-1/2"Color: BlackID: 6"Center: SmoothOD: 8-1/8"..
An extra heavy "O" ring to assure watertight fit. To be installed in areas where internal pressure (..
Standard trim ring. 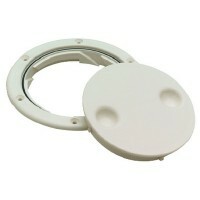 Hole: O-Ring for 6" screw-out deck platesColor: 2.80ID: Center: OD: ..
Standard trim ring. 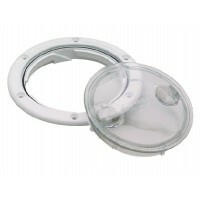 Hole: 6-1/2"Color: WhiteID: 6"Center: ClearOD: 8-1/8"..
Standard trim ring. 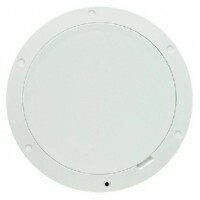 Hole: 6-1/2"Color: WhiteID: 6"Center: Non-SkidOD: 8-1/8"..
Standard trim ring. Hole: 6-1/2"Color: WhiteID: 6"Center: SmoothOD: 8-1/8"..
Standard trim ring. 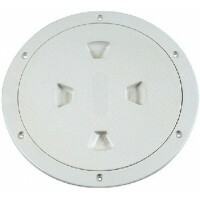 Hole: 8-3/8"Color: WhiteID: 7-5/8"Center: SmoothOD: 10"..
Standard trim ring. 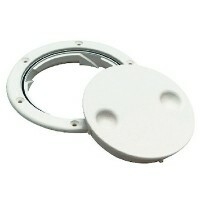 Hole: 8-3/8"Color: WhiteID: 7-5/8"Center: ClearOD: 10"..
Standard trim ring. 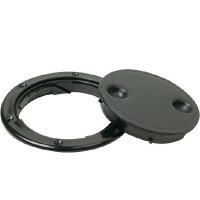 Hole: 4-1/2"Color: BlackID: 4"Center: Non-SkidOD: 6-1/8"..
Standard trim ring. Hole: 5-1/2"Color: WhiteID: 4"Center: DiamondOD: 6-1/8"..
Standard trim ring. 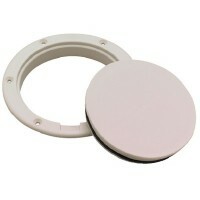 Hole: 4-1/2"Color: WhiteID: 4"Center: Non-SkidOD: 6-1/8"..
Standard trim ring. Hole: 6-1/2"Color: NeutralID: 6"Center: DiamondOD: 8-1/8"..
Standard trim ring. 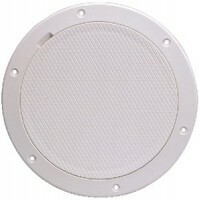 Hole: 6-1/2"Color: WhiteID: 6"Center: DiamondOD: 8-1/8"..
Standard trim ring. 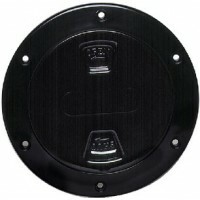 Hole: 7-5/8"Color: BlackID: 8-1/2"Center: Non-SkidOD: 8-1/8"..
Standard trim ring. Hole: 7-5/8"Color: NeutralID: 8-1/2"Center: DiamondOD: 10"..
Standard trim ring. 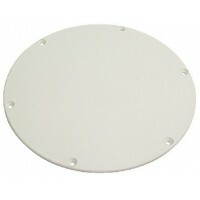 Hole: 7-5/8"Color: WhiteID: 8-1/2"Center: Non-SkidOD: 8-1/8"..
Standard trim ring. Hole: 7-5/8"Color: WhiteID: 8-1/2"Center: DiamondOD: 10"..
Has UV stabilized resin and an o-ring seal. Locking center. Hole: 10-1/2"ID: 9-1/4"OD: 12-1/2"..
Has UV stabilized resin and an o-ring seal. Locking center. 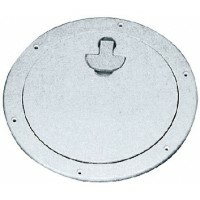 Hole: 8-1/2"ID: 7-5/16"OD: 10-9/16"..
Chrome plated zinc. Hardened steel pins. Will fit sizes up to 8" diameter. Length: 8-1/2".. Opens to a max. 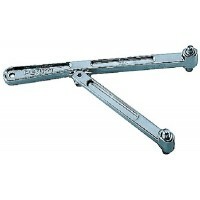 of 6" and comes with two sizes of stainless steel pins 3/16" and 5/16" allowing it t..
Injection molded ABS. Molded to the highest standard using top quality UV stabilizers and anti-oxida..
Injection Molded ABS/Polycarbonate. 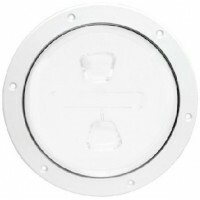 The clear polycarbonate lid allows visual inspection of watertig..
Cover plate-4 1/8in artic whit For: Hole size up to 2-3/4"Color: Arctic WhiteOD: 4-1/8"..
Cover plate-5 5/8in artic whit For: Hole size up to 4"Color: Arctic WhiteOD: 5-5/8"..
Cover plate-7 5/8 -artic white For: Hole size up to 6"Color: Arctic WhiteOD: 7-5/8"..
Easy to clean non-skid surface. Water tight O-ring seal. Acetone resistant polypropylene. Requires #..
Cam-action watertight O-ring seal. Acetone resistant polypropylene. Easy to clean! Requires #8 faste..